For your app to fulfil its potential as an accessible and user-friendly resource you need your audience to embrace it. In this article you’ll find tips and advice on uploading content to the platform, promoting your app, and driving downloads. Time management is key and you should think about how long it will realistically take you to upload your festival content to the platform. In 2015 we worked with a small festival with 35 events in 10 venues across 5 days. It took their team 1.5 days to prepare their app. If your event will have more events, artists, and venues then you’ll need to give yourself proportionately more time to upload content to the platform. Due to Apple’s strict App Store regulations the Android version of your app will be published to the Google Play store much earlier than the iOS version. Treat the initial Android version as a preview and use the opportunity to thoroughly check your content for mistakes. You can then screenshot the errors, send them to us, and then we’ll make the necessary corrections before we submit your app to the Apple App Store. *Please note that once your app has been published to both Google Play and the Apple App Store each round of corrections after launch will incur a £500 charge as we have to do a complete rebuild. We understand that your schedule will be tight before the launch of your festival, but you’ll reap the benefits if you promote your app before your festival begins. 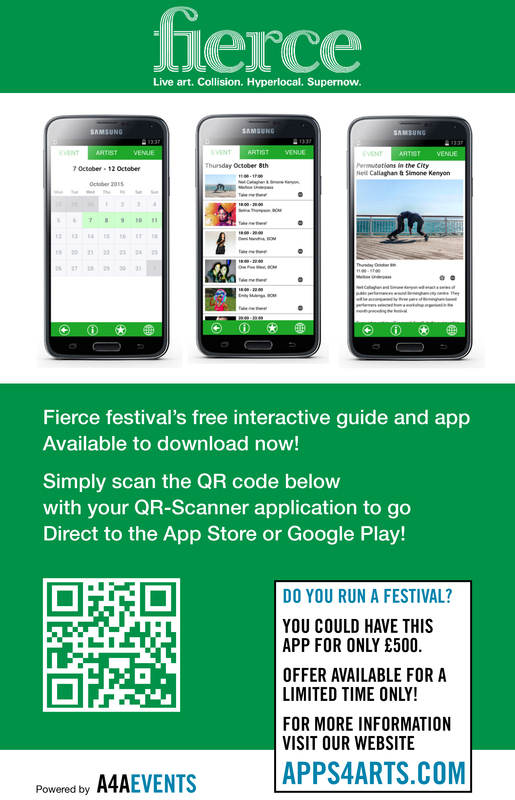 We recommend giving your audience at least one week’s notice of the app prior to the festival launch, if not more. This will help to build buzz around your event whilst allowing visitors to plan their visit before they arrive. Your campaign needn’t be complex or time-consuming to create. A simple visual including an image of your app and a QR code linking to the app store download page can be used across all of your digital and printed communications. There are lots of iPhone and Android phone mockups available online. These can easily be used to display a preview of your app in a professional and effective way. Tip: Use social media to encourage app users to utilise the in-app ‘Favourites’ function as a way to create their own personalised event schedule. We use specialised analytics to measure your app’s usage. This hugely valuable resource will help you to gain a rich insight in to your visitors’ behavior patterns and interests. – The overall number of people who have used your app. – The number of people who are using your app at any given time or specific timeframe. – The geographic locations of your app users when the app is in use. – The overall app retention rates as well as the retention rates on individual pages. 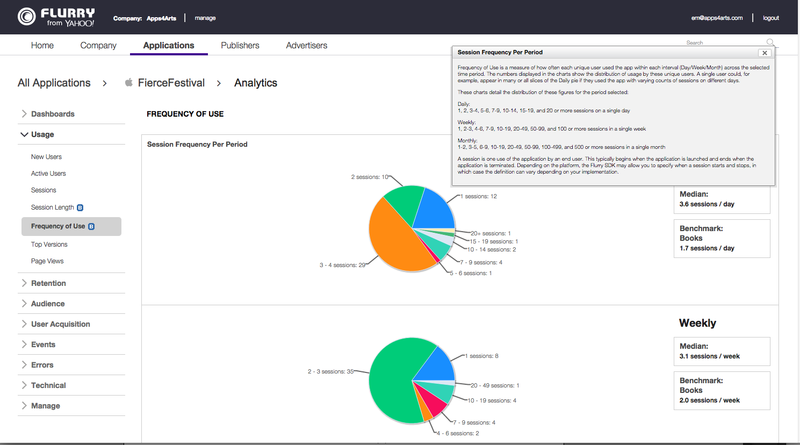 These unique features will help you to gain insight into the most popular events and times of the day, which in turn will help you make more informed decisions for future festival programming. You will also be able to measure your audience traffic and demographic traits, which will help you to build a more informed picture of your audience. This invaluable information will help you to tailor and target your communications, marketing efforts, and events to your audience and sponsors in the future. For a more detailed explanation of what analytics can do and how it can help your festival head over to the resources section on our website.